On this date in 1911 a Norwegian team under the leadership of Roald Amundsen became the first group of humans to reach the South Pole. 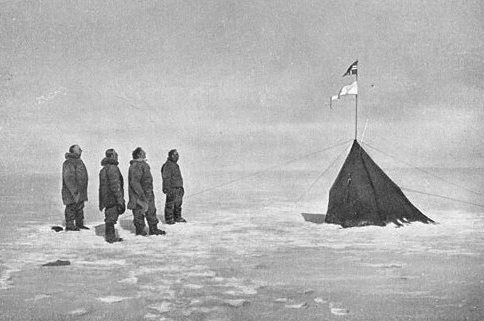 For most of my life this achievement was overshadowed in my mind by the tragic events of Robert Scott’s competing team who not only arrived at the Pole weeks after Amundsen but died on the return journey. That’s because I went to English and Australian schools where the story of Scott’s ill-conceived but heroic failure was lauded above Amundsen’s success. http://www.bookofdaystales.com/robert-falcon-scott/ In hindsight this now seems dreadfully unfair to me. In the 20th century there were scores of challenges (most of which I’ve covered here) – Everest, first flight, Manetic North Pole, etc. etc. These were races to be the first. Someone had to win, meaning someone else had to be runner up. That’s how it works. Amundsen won, Scott was runner up. But judging by the way I was taught in school and via media, you’d swear that Scott was the real winner and Amundsen was the runner up even though “technically” he won – i.e. got there first. Well . . . he was a sneaky Norwegian so his accomplishment does not really count. In the British version of the tale Amundsen is merely a footnote to history: Scott saw the Norwegian flag at the Pole and was disappointed. End of the Amundsen side of the story. Let’s redress that wrong. There are numerous accounts of Amundsen’s expedition, including his own, so I don’t need to go into detail. I’ll just point out some salient features. First, Amundsen was torn between North and South Poles. Both were being approached by rival teams. Amundsen joined in as one of several. 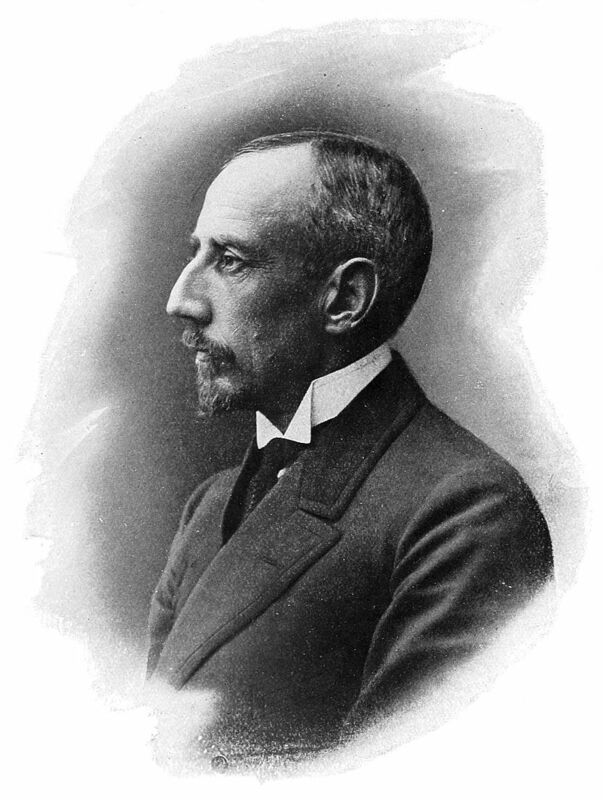 Amundsen made his plans public on 10 November 1908, at a meeting of the Norwegian Geographical Society. 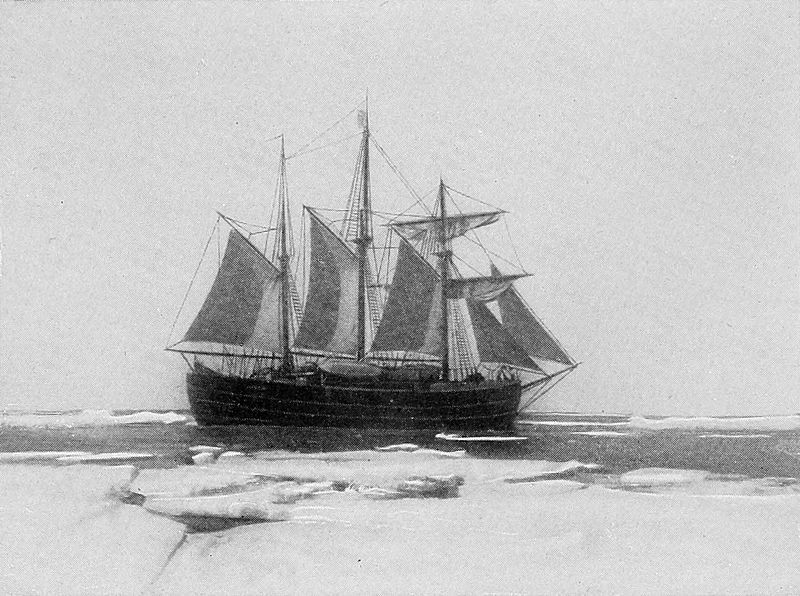 He would take the ice ship Fram (which Fridtjof Nansen had used in 1893 to get very close to the North Pole), round Cape Horn to the Pacific Ocean. After provisioning in San Francisco the ship would continue northwards, through the Bering Strait to Point Barrow. From here he would set a course directly into the ice to begin a drift that would extend over four or five years, either passing over the Pole or allowing a land trek. In March 1909 it was announced that Shackleton had reached a southern latitude of 88° 23′ which was 97 nautical miles (180 km) from the South Pole—before turning back. Amundsen observed that in the south “a little corner remained”. He was unreserved in his praise for Shackleton’s achievement, writing that Shackleton was the south’s equivalent of Nansen in the north. Following this near miss, Scott immediately confirmed his intention to lead an expedition (what became the Terra Nova Expedition) that would finally claim the prize for the British Empire. In September 1909 newspapers carried reports that Cook and Peary had each reached the North Pole, Cook in April 1908 and Peary a year later. Asked to comment, Amundsen avoided an outright endorsement of either explorer, but surmised that “probably something will be left to be done”. He saw immediately that his own plans would be seriously affected. Without the allure of capturing the pole, he would struggle to maintain public interest or funding. “If the expedition was to be saved … there was nothing left for me but to try and solve the last great problem—the South Pole”. Thus Amundsen decided to go south; the Arctic drift could wait “for a year or two” until the South Pole had been conquered. Amundsen did not publicize his change of plan, however. His expedition’s public and private funding was earmarked for scientific work in the Arctic and there was no guarantee that his backers would understand or agree to the about face. Furthermore, the altered objective might cause Nansen to revoke the use of Fram, or parliament to halt the expedition for fear of undermining Scott and offending the British. Amundsen concealed his intentions from everyone except his brother Leon and his second-in-command, Nilsen. This secrecy led to awkwardness; Scott had sent Amundsen instruments to enable their two expeditions, at opposite ends of the earth, to make comparative readings. When Scott, in Norway to test his motor sledges, telephoned Amundsen’s home to discuss cooperation, Amundsen would not take the call. Make of this what you will. Critics, especially the British, see this as underhand dealings on Amundsen’s part. To me it looks like pragmatism. He was being funded to carry out scientific exploration. This was not simply an exercise in adventuring, and Amundsen’s South Pole work was very profitable scientifically. For starters, he charted an entirely new route to the Pole (which was one of the main reasons he beat Scott, who used a more traditional route that landed him in trouble). 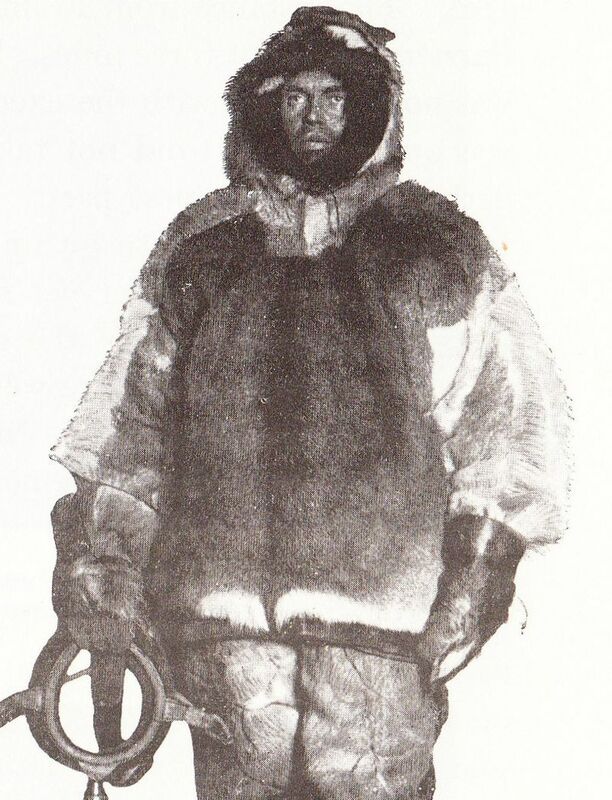 Furthermore, Amundsen’s careful researches led him to design better polar clothing for his men than Scott’s, to the use of dogs rather than the ponies and motor sledges for haulage that Scott used, and skis for personal travel rather than foot slogging. Scott was, without question, a brave man, and his literary skill has earned him a place as a genuine martyr to a worthy cause. But Amundsen was, hands down, the better polar explorer, and his achievement should not be diminished by sentiment. Amundsen did not understand the apparent aversion of British explorers to dogs: “Can it be that the dog has not understood its master? Or is it the master who has not understood the dog?” he later wrote. Following his decision to go south he ordered 100 North Greenland sledge dogs—the best and strongest available. Besides their durability as pack animals, dogs could be fed to other dogs and could provide fresh meat for the men in the polar party. The party’s ski boots, specially designed by Amundsen, were the product of two years’ testing and modification. The party’s polar clothing included suits of sealskin from Northern Greenland, and clothes fashioned after the style of the Netsilik Inuit from reindeer skins, wolf skin, Burberry cloth, and gabardine. The sledges were constructed from Norwegian ash with steel-shod runners made from American hickory. Skis, also fashioned from hickory, were extra long to reduce the likelihood of slipping into crevasses. The tents—”the strongest and most practical that have ever been used”—had built-in floors and required a single pole. 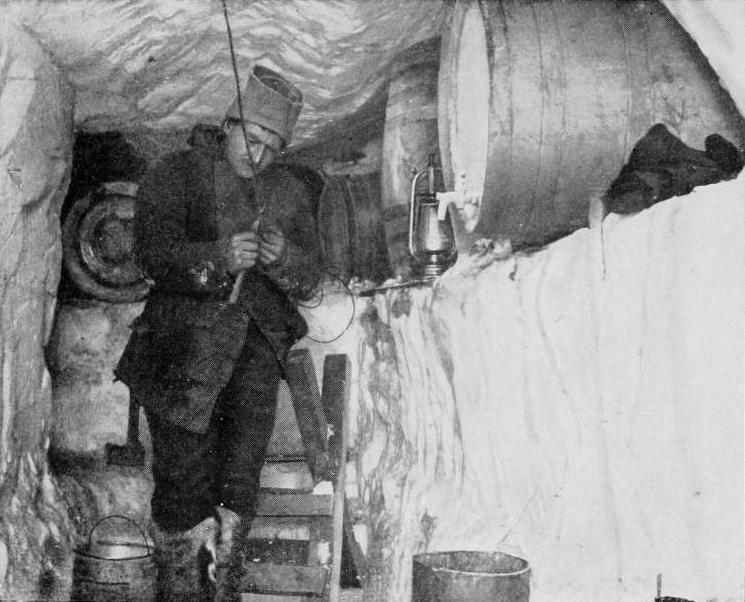 For cooking on the march, Amundsen chose the Swedish Primus stove rather than the special cooker devised by Nansen, because he felt the latter took up too much space. From earlier polar experiences, Amundsen was aware of the dangers of scurvy. Although the true cause of the disease, vitamin C deficiency, was not understood at the time, it was generally known that the disease could be countered by eating fresh meat. 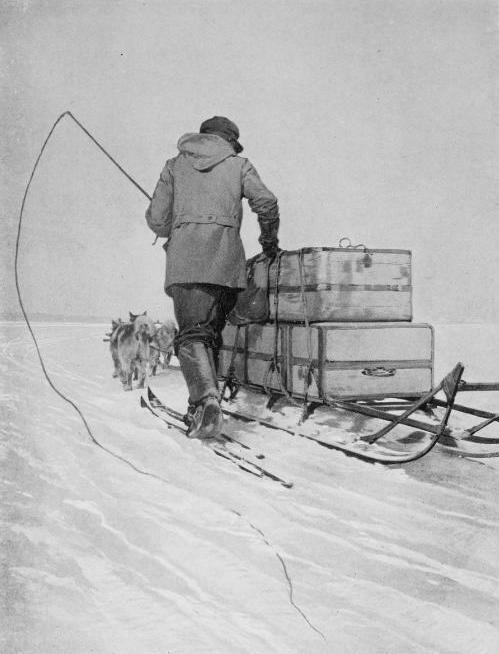 To neutralize the danger, Amundsen planned to supplement sledging rations with regular supplies of seal meat. He also ordered a special kind of pemmican which included vegetables and oatmeal: “a more stimulating, nourishing and appetising food it would be impossible to find”. The expedition was well supplied with wines and spirits, for use as medicine and on festive or social occasions. Mindful of the loss of morale on previous expeditions, Amundsen provided for leisure time with a library of around 3,000 books, a gramophone, a large quantity of records and a range of musical instruments. As an anthropologist I can’t help but see Amundsen’s success and Scott’s failure as a clash of cultures. The Norwegian knew about Arctic conditions and Arctic peoples from cultural experience and took advantage of that knowledge with no sentimentality about cooking dog paw stew and the like, as well as benefitting from the longstanding wisdom of indigenous Scandinavians who lived year round in ice and snow. The Englishman saw pit ponies as (literally) workhorses, whereas dogs were family friends that could not be exploited. In the end ponies and machines failed and dogs succeeded. Giving recipes for penguin or seal require a trip to Antarctica in all likelihood. A recipe for dog paw stew might be more practical but may have few takers. Even in Asia, where dogs are not intrinsically taboo as food, they are fast loosing popularity and are becoming harder and harder to find. He re instead is a wonderful video about preparing and cooking caribou head in a traditional way. Be careful if you are squeamish.